“I am currently living in Midland, MI where I work for The Dow Chemical Company’s Sustainability group. I am the program manager for Dow’s 2015 Sustainability Goal: Breakthroughs to World Challenges. I have been developing strategy for the company to engage its various businesses and functions in meeting the goal of achieving at least three breakthroughs that will significantly improve the world’s ability to solve the challenges of: affordable and adequate food supply; affordable housing; sustainable water supplies; alternative energy and climate change; or improved health. In addition to working on the strategy for the goal, I have been working closely with Dow’s Ventures & Business Development group on specific projects that have the potential to contribute to the Breakthroughs goal. These dual responsibilities are pushing me to leverage business skills and market forces to bring solutions to some of the world’s most pressing issues. Elizabeth received a bachelor’s degree from Princeton University’s Woodrow Wilson School for Public and International Affairs, where she earned certificates in African studies and environmental studies. "After Haas I moved to Kenya with the Acumen Fund, a venture capital fund that invests in businesses providing vital services to the poor in the sectors of health, agriculture, sanitation and energy. After a year investing in and supporting good businesses, I left to launch my own organization in Nairobi. Jacaranda Health is a social venture whose aim is to reduce high rates of maternal and infant mortality in the region by providing a new model of maternity care for women living in urban areas. We are still in the early days, but we are quickly laying the groundwork for our goal of a self-sustaining network of clinics providing affordable, high-quality care to women in the slums. Jacaranda Health has been named an Ashoka Changemaker for new ideas in maternal health. Nick holds a bachelor’s degree in environmental science from Carleton College. “Recently transplanted to the East Coast, I’m currently working in Brand Management at Unilever, a global consumer packaged goods company. In this field I get to use my business management training and past experiences to contribute to the growth of one of many brands that aim to meet the everyday needs of people around the world. Motivated by Unilever’s focus on adding vitality to life and creating products that contribute to a better quality of life, I am excited to make my mark within this organization. Silvia holds bachelor’s degrees in political science and mass communications from UC Berkeley. "Prior to Haas, I was a Senior Consultant at Deloitte Consulting and following graduation I accepted a position in Corporate Strategy at McKesson Corporation, the largest health care services provider in the U.S. My interest is in using innovative technology to empower doctors and patients by improving cost, quality and access in health care. While at Haas, I worked to start ComplexDx, a Web-based service to connect patients facing complex and difficult diagnoses with the doctors who have the expertise, insight and incentive to correctly diagnose them. Being a Brian Maxwell Fellow inspires me to take chances to use entrepreneurship as a catalyst for positive change. The relationships that I have developed with the other Fellows and with Scott Sowry and Jennifer Maxwell will last a lifetime." Brad received an MPH from the School of Public Health at UC Berkeley in 2009. Brad holds a BA from UC Berkeley, where he received All-American honors in water polo and swimming, and holds a master's degree in international affairs from UC San Diego. Aleka has a bachelor’s degree from UC Berkeley in mathematics and French and a PhD from UC Irvine in French with an Emphasis in Critical Theory. She has taught in the Humanities Core Course at UC Irvine and was Director of Operations and Finance at Aspire Education Project. "I moved to Seattle to join Amazon's General Management rotational program. As a Senior Vendor Manager, I am exercising daily the principles and lessons learned at Haas. Amazon is the perfect opportunity to sharpen my business acumen and take advantage of my Naval Aviation leadership experience at a fast growing tech company. It is strange, but each day I am encouraged to take risks and fail in order to learn and grow the business. This is a fundamental mindset departure from flying a plane onto a carrier! I am constantly forced to make P&L decisions with ambiguous information. However, I am encouraged by the odds Brian and Jennifer surmounted in building PowerBar. Brian and Jennifer's story is simply amazing and inspires me to emulate their entrepreneurial spirit as I strengthen my business educational foundation. Being a Brian Maxwell Fellow is an ever-present reminder to take advantage of opportunities to induce positive change in my workplace, home and community." James was awarded the Humanitarian Service Medal for delivering more than 1,000,000 pounds of relief supplies after the 2004 Indonesian tsunami. He earned his undergraduate degree from the United States Naval Academy, has achieved a national #1 ranking as an amateur cyclist and is a fund-raiser for the Lance Armstrong Foundation. "Being selected as a Brian Maxwell Fellow is a tremendous honor for me, but most importantly a reaffirmation of my career goals to improve health care. In the fall 2009, I will begin my studies in Haas's MBA/MPH dual degree program, a unique program in which I hope to gain the skills necessary to minimize disparities in health care. The fellowship support inspires me, motivates me and gives me a redoubled sense of responsibility to make sure that my education is an investment in a better future of health care. The warm welcome that I have received from the entire Maxwell community has left me enthusiastic to develop relationships with Jennifer Maxwell, Scott Sowry and the other Fellows." Abi is from Jackson, Wyoming and spent her summers growing up working on her family's ranch in Sunlight Basin. At Dartmouth College, she studied economics and worked as a volunteer ski patroller. Abi's previous work experiences have been as a macroeconomic analyst at the Federal Reserve Board and a health policy analyst at Harvard's School of Public Health. Prior to coming to Haas, Abi lived in Mexico City as a Fulbright Scholar in Binational Business where she worked for Ashoka evaluating entrepreneurs who create innovative solutions for social problems in Mexico and Central America. Abi enjoys skiing, snowboarding, running, horseback riding, backpacking, tennis and travel. Before coming to Haas, Abi traveled in China to see her sixth total solar eclipse. "Prior to Haas, I have been involved in two entrepreneurial projects: an Internet-based export company specializing in Peruvian natural food supplement products; and a reforestation company that plants trees in deforested areas in the Amazon Jungle. I can say that being an entrepreneur has been more difficult than expected, but as a Brian Maxwell Fellow, I have a fresh entrepreneurial pulse. Brian Maxwell was a great entrepreneur and his legacy can inspire anybody! Being a Brian Maxwell Fellow is a life experience opportunity, but also a huge responsibility. Emulating Brian and Jennifer's contributions is not an easy task, but as a Brian Maxwell Fellow, I feel part of an amazing, talented group of collaborative people driven by the same values and entrepreneurial spirit that drove Brian and Jennifer to pursue their dreams. The Haas MBA program will provide me with a frontier of knowledge and management education within an environment that is constantly in contact with markets far more developed than those in Peru. Being a Brian Maxwell Fellow inspires me to live my passions, to reflect the fellowship values in everything I do and to make a difference in my workplace, community and country." Alvaro is an economist from the Universidad del Pacifico in Lima, Peru. Since graduation, Alvaro worked in a power generation company as a financial analyst and project developer. Alvaro established an Internet-based export company KOECH and the reforestation company RAMSA. Alvaro is planning to return to Peru after Haas to apply all of his new management skills in the development of his companies. "Becoming a Brian Maxwell Fellow is a great privilege and honour for me. I appreciate Brian and Jennifer Maxwell's story and I was simply amazed. By becoming a Brian Maxwell Fellow, it will help spur me on to achieve my aspirations with the characteristics and indefatigable nature that Brian possessed. My aspirations are to work in renewable energy technology and to make a positive and lasting impact in this area and in my community by emulating and reflecting the values of the Brian Maxwell Fellows program." Gwyn has a master's of engineering degree with first class honours from the University of Wales and a PhD in physics from the University of York. Prior to Haas, Gwyn worked at Silvaco and Spansion as a semiconductor device engineer and holds several U.S. patents in this area, in addition to holding industry advisor roles in venture capital. Gwyn enjoys spending time with his family and is an avid sailor and marathon runner. Gwyn also is a charity fundraiser for the Rainbow Trust Children's Charity in the United Kingdom. Genevieve has an undergraduate degree in Economics from Harvard University. She spent the past seven years in product innovation, consumer insights and marketing, primarily in the retail food/beverage and wine industries. She worked most recently as a Product Marketing Manager for Jamba Juice Company, where she led the development and rollout of the company’s new organic hot coffee and tea program. Genevieve strives continuously to grow and to become a more effective leader, sharper innovator and active global citizen. She also serves on the Board of Directors for the East Bay non-profit social enterprise, The Bread Project, and writes regularly for her food blog, Bribe Me with a Muffin. Jane hails from Canada, North Carolina and Hong Kong, and received a B.S. in Product Design and B.A. in Music from Stanford University. Her career has centered around listening and connecting to consumers, whether for an environmental non-profit or as a strategy consultant for start-up tech ventures. Prior to coming to Haas, Jane worked in finance and brand management at Nestle Dreyer’s Ice Cream, most recently launching new products and flavors for Häagen-Dazs ice cream. She is an avid rock-climber, marathon runner and aerial dancer, and also helps others improve their health and nutrition as a Health and Lifestyle Coach. 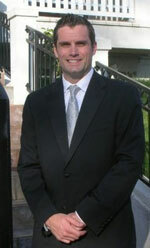 Jerry grew up in the Bay Area and earned his undergraduate degree in Economics from Harvard University. He worked as an IT consultant and marketing strategist in Boston prior to joining endPoverty.org, a global microfinance non-profit, as its Director of Marketing in 2008. Jerry’s efforts in revitalizing endPoverty’s brand identity and pioneering a Web-focused fundraising strategy enabled the organization to start thousands of small businesses in poor communities throughout the developing world. After working as an advocate and funder for so many remarkable entrepreneurs, he is excited to come to Haas and finally become one himself. Jerry enjoys snowboarding, playing water polo and is currently learning how to rock climb. His favorite PowerBar flavor is the classic chocolate. "Hanging up my stethoscope, I came to Haas with the aim of tackling some of the tough challenges facing health care in the 21st century. I was naturally drawn to the Brian Maxwell Fellowship as it really embodies the values I aspire to and as a chocolate PowerBar fan and budding entrepreneur I was amazed to learn how Brian and Jennifer grew their business out of the kitchen into a global brand. Having the opportunity to get to know Brian, Jennifer, Scott and the Fellows continues to be an enlightening experience that has strengthened my determination to keep on searching for the answer and strive to make a real difference! The hospitality and welcoming the Fellowship have shown me has been truly incredible and I am honored to be part of such a wonderful community." Francis was born in Scotland and grew up in the English countryside. He gained his MD and BSc in Surgery & Anaesthesia from Imperial College in London and spent the past five years as a practicing physician in the UK in a variety of specialties, including emergency medicine, HIV medicine and urology. With a passion for technology, Francis is really excited about the opportunities to improve patient care through the better use of IT and hopes to develop his own start-up in this space during his time at Haas. He is a keen tennis player who enjoys travelling (especially on road-trips), photography and cycling. Cal grew up in the Bay Area and raced road and mountain bikes as a teen. He received his B.A. in History from UC Berkeley. After working closely with fire and police unions as a political staffer, Cal decided to become a first responder. He spent several years on ambulances as an EMT and a paramedic. As a firefighter, Cal became involved in mobile application development for first responders. He subsequently founded Field Applications, producing a well-received reference for crash rescue operations, as well as mapping and collaboration apps. As an MBA/MPH candidate, Cal is eager to expand his innovation skills and gain some business fundamentals. He enjoys cycling, CrossFit and trail runs.